Luka Doncic is living proof that the right rookie can change the tide for a franchise. It’s been done before. Michael Jordan turning the Bulls into a Dynasty. Tim Duncan transforming the Spurs into a picture of consistency. Those are lofty standards to reach but Doncic doesn’t seem to be fazed by any challenges. Doncic is just different from any of the rookies in his batch. He looks so smooth, so polished, so in control whenever he’s on the floor. Sometimes, people forget that he’s just 19 years old. Doncic looks more like a 19-year veteran with how he can slow down a game, get to his spots and create opportunities for himself and for his team. And he’s not doing this against scrubs or fellow rookies. Doncic is straight up killing All-Stars from Playoff teams. The Mavericks’ latest win was against the Portland Trail Blazers. It was a bounce back win for Dallas after a disappointing loss to the Lakers. 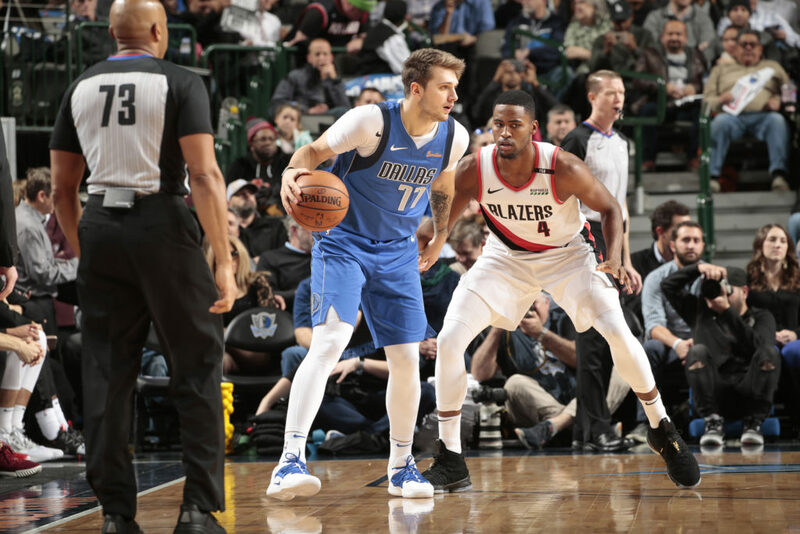 It was also a bounce back performance for Doncic who led the charge in the first half and closed out the Blazers in the end game. Doncic finished with 21 points and nine rebounds to make up for his 2/13 performance against the Lakers. Not only that, he nailed a dagger step-back three to kill any chances the Blazers had of winning the game. Doncic is stepping into the big shoes that Dirk Nowitzki placed before him. Nowitzki belongs the Jordan, Duncan category of players who have changed the fortunes of their franchises. The big German is the reason why the Mavericks were Playoff contenders for such a long stretch. This season was supposed to be another rebuilding season for the Mavs. But at 12-10, they’re in the Playoff picture. With Doncic leading the way, they’re looking to stay relevant all season long. Kyle Korver returned to Utah as a member of the Jazz. This is his first game back in Utah since 2010. The Jazz needed someone who could boost their outside shooting and Korver was acquired from the Cavaliers to fill that gap. He didn’t quite make a mark in Utah’s first game. He only managed three points on 1/6 shooting in a road game in Miami. Playing in Utah, against the Spurs, Korver heat up quickly. Korver nailed his first bucker off a curl from the left side. He added a four-point play in the fourth quarter, showing that he already shook off the bad shooting night the game earlier. Korver finished with 15 points off the bench built on three treys. Korver is the type of player who can be plugged into any team and be effective. He proved that tonight in the blowout win over the Spurs. The Markelle Fultz Saga seems like it will never end. It’s easy to understand why. Fultz was viewed as a sure thing coming out of college. He was supposed to be a stud. Then suddenly in one summer, he just forgot how to play basketball. No one really knew why. The rumors started swirling. Some said he had the yips. Others pointed to an offseason motorcycle injury. Some just gave up and called him a bust. Fultz’s agent decided to pull his client out of active duty from the Sixers until they figure out what’s going on with him. After visiting several specialists, he revealed that Fultz has Neurogenic Thoracic Outlet Syndrome (TOS). Basically, Fultz had an undiagnosed syndrome that affected his shooting motion and limited the movement in his neck and shoulders. It’s hard to believe the Fultz camp anymore given all the miscommunication they had in the past, especially in dealing with Fultz’s injury. But if this diagnosis is correct, it would explain why Fultz has been pushing the ball from his chest rather than continue his normal shooting motion from college. Fultz is still out “indefinitely” but he’s undergoing therapy to correct the problem he has. Fultz could be back in three to six weeks as advised by his agent. Hopefully, Fultz comes back stronger and he can finally put this whole issue behind him and just play ball.